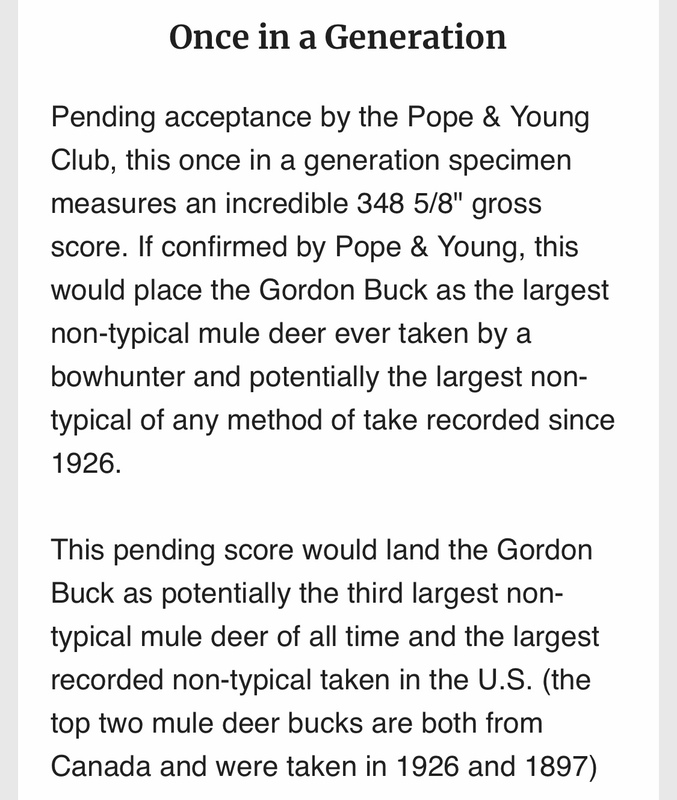 Have you guys seen the new potential world record non typical archery mule deer. Absolute monster. I?m not a hater, but I?m glad to see just some regular guy take the record away from Cody Robbins. Like every other tv personality, he seems like a shameless self promoter. Congratulations to the successful hunter. Cody Robbins does not have the world record mule deer. Did he decide not to strip the velvet, or has someone else surpassed his buck? Sure that’s not a caribou? Dang ! He never sent to Panel (required) and/or stripped the velvet. It’s real score is only speculation at this point. Additionally, a new deer was just crowned as the WR from Sask. This new buck will be exciting to measure at panel, providing it is stripped. While P&Y accepts velvet entries, they are not eligible for world record status. B&C does not accept velvet entries. Huge buck on public land. Congratulations to the hunter, from what I’ve read he’s a real down to earth guy. "The full printed story of the Gordon Buck can only be found in the upcoming May/June issue of Western Hunter Magazine."